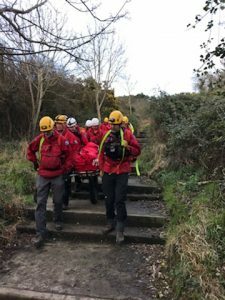 At 14:39 on Sunday, January 28th, Glen of Imaal Mountain Rescue Team and Dublin Wicklow Mountain Rescue Team were tasked by National Ambulance Service control to assist at an incident on Bray Head. The incident involved a man who fell from height while descending from Bray Head summit. 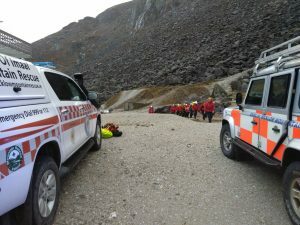 Mountain rescue (MR) personnel assisted at the scene, and then packaged the man into a stretcher and evacuated him to a waiting ambulance. 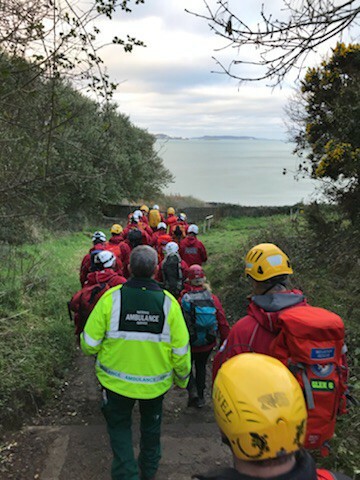 MR would like to thank the National Ambulance Service (NAS) as well as Rescue 116, Greystones Coast Guard Unit and Wicklow Coast Guard Unit, who were also tasked, but were stood down en route. The incident was stood down at 15:47. At 15:19hrs on Saturday 27th January 2018, The Glen of Imaal Mountain Rescue Team and Dublin Wicklow Mountain Rescue Team were tasked by An Garda Síochána to assist an experienced hill walker with a suspected broken leg. 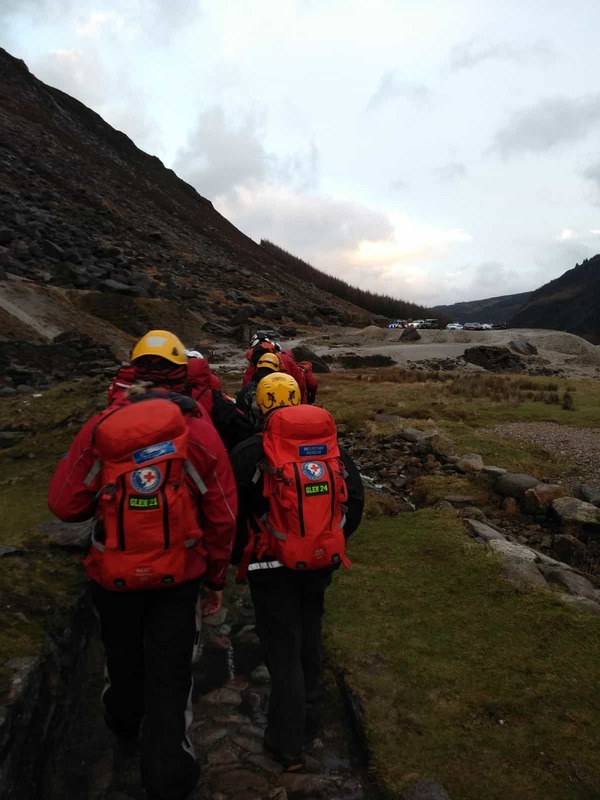 At 17:19hrs on Friday 12th January, Glen of Imaal Mountain Rescue Team and Dublin Wicklow Mountain Rescue Team were tasked by An Garda Síochána to assist a lost female runner in the Glendalough area. GOIMRT and DW MRT both deployed vehicles to search the track systems and the woman was located in the Mullacor area. She was transported to Glen Base where she was treated by MR medics for a minor lower leg injury. The incident was stood down at 18:01hrs.